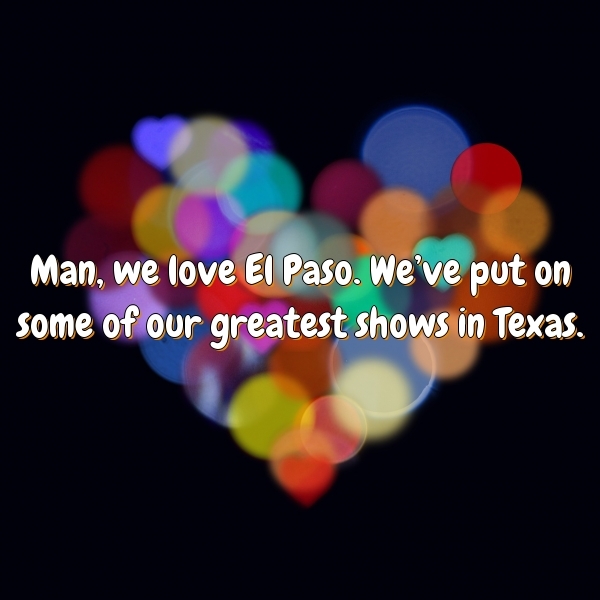 Man, we love El Paso. We've put on some of our greatest shows in Texas. Man, we love El Paso. We’ve put on some of our greatest shows in Texas.